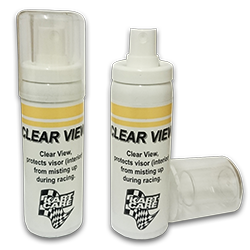 Clear view protects visor (interior) from misting up during racing. 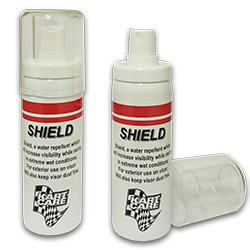 Shield is a water repellent which will increase visibility while racing in extreme wet conditions. For exterior use on visor. Will also keep visor dust free.